Depew Union Free School District Inspire. Challenge. Achieve. 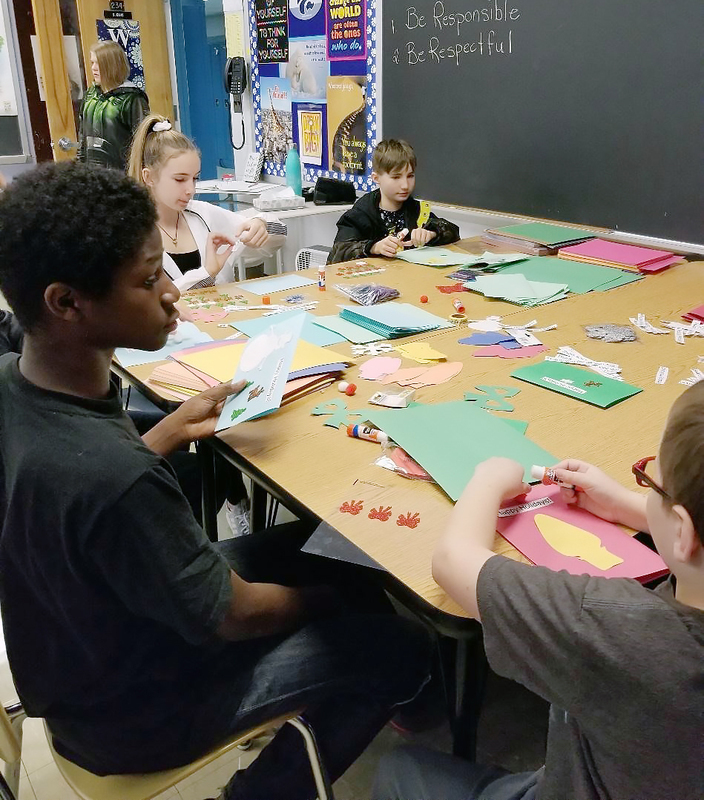 On Nov. 20, DMS held the first of seven “D.E.A.L. Days”. D.E.A.L. stands for Drop Everything And Lead. All 389 middle school students took part in the program during the first two periods of the day. Students had a choice of 31 teacher-led groups that they selected by completing a Google Form emailed to them the week prior. They picked their top three choices and then were placed in a group with a mix of 12 to 13 other students from across all three grade levels. Fifteen student leaders, who are members of LEAD, led a lesson on Habit 1 from the Leader In Me Program. Groups were doubled up for the lesson. Afterwards, the students met with their teacher leader and began a brainstorming session to develop their goal, and create a list of supplies they would need to accomplish that goal. For the next six meetings, one every month through May, students will work with their teacher leader to fulfill the goal they set. Groups included Kindness Karma, Wildcat Runners, Time Capsule, Operation Beautiful, Nature Study, Senior Citizen Appreciation, Helping Our Heroes, and several groups revolving around school beautification. The program was instituted by Leader In Me T.O.S.A., Sal Carlino, who developed the idea in the hopes of building on the positive school culture that has been growing since the Leader In Me program began several years ago. Students and teachers came up with wonderful ideas that will be showcased at the budget vote in May. Initial reactions were very positive, and many students said they were excited for their next D.E.A.L. Day. Copyright © Depew Union Free School District 2019. All rights reserved.